Trumpet. Composed by Eric Ewazen. Brass Solos & Ensembles - Trumpet And Piano/Organ. Southern Music. 20th Century. Set of performance parts. Composed 1995. 56 pages. Southern Music Company #SU337. Published by Southern Music Company (HL.3776234). Eric Ewazen's 'Sonata for Trumpet and Piano' was commissioned by and is dedicated to the International Trumpet Guild. 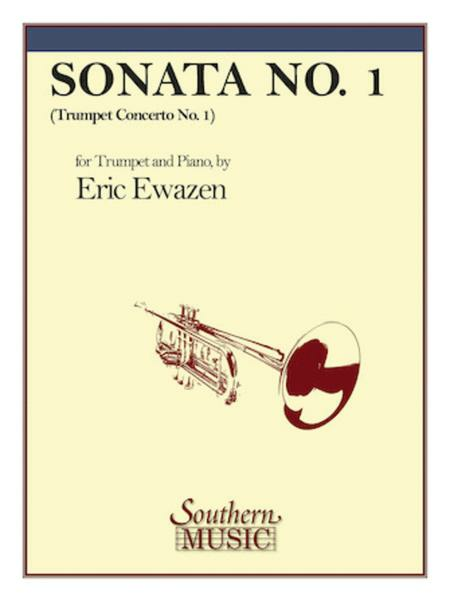 The Sonata was premeiered by Chris Gekker with the composer at the piano at the International Trumpet Guild Convention at Indiana University on May 30, 1995. 21 of 46 people found this review helpful. first movement commands our attention and explores range and rhythmic buoyancy of the opening motive. The second is flowing with a great attention to line; some students use Flugal horn for this movement. The finale exudes humour and the audiences never tire of the freshness that Ewazen elicits from this piece. 23 of 50 people found this review helpful. again. He has written the trumpet as though it is singing with the piano and communicating through music to express themselves (stating the obvious). I love music in the respect of it's an international language that everyone understands in their own personal way. 29 of 68 people found this review helpful.